British electronic band Blancmange first broke through in the early 80s with their mix of synthesizers and surrealism, fused in groundbreaking singles such as ‘Feel Me’, ‘Living On The Ceiling’, ‘Blind Vision’ and ‘Don’t Tell Me’. The epic synthpop of ‘Waves’ and a cover of Abba’s ‘The Day Before You Came’ illustrated a band who were always willing to change and adapt new styles within their electronic framework. After working on their own projects and film music, they returned in 2011 to great acclaim with their fourth studio release, “Blanc Burn”. The “Semi Detached” album followed in 2015 and Blancmange’s first ever instrumental album, “Nil By Mouth” and “Commuter 23” arrived in 2016. The inspiration continued with Blancmange’s 2017 album “Unfurnished Rooms”. 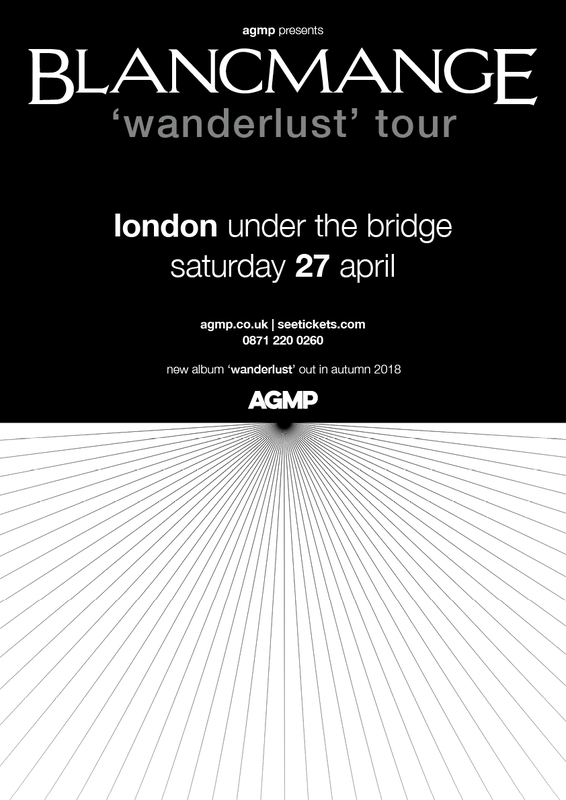 Tonight, the latest album ‘Wanderlust’ is launched.